One of the best solutions we strongly recommend for PS4 users is to use an external hard drive to second the current internal hard drive in holding the loads of downloaded games and movies you decided to keep handy and are not ready to waive. That’s because the stock hard drive cannot handle many heavyweight AAA-grade PS4 games that come with around 40GB or even 50GB file size, let alone the UHD movies, even with the new release of PS4 that ships with 1TB hard drive capacity. In our PS4 external hard drive guide We have suggested a few solutions to work around this problem, one of them is to use an external hard drive for the purpose of backup, with which you can alleviate the burden on the internal hard drive and give more space for the new downloaded files. But using an external hard drive with PS4 requires you to format the drive with the relevant file system in order to be able to use it properly with PS4, and below is a step-by-step guide to how to do that. But before we go through the guide, we must address a very important issue in this regard, which is: the type of file system to format the external hard drive with for PS4. Whether you’re formatting an internal drive, external drive, USB flash drive, or SD card, Windows will give you the choice of NTFS, FAT32, and exFAT. But PS4 only supports two of these file systems—FAT32 and exFAT. FAT32 was first introduced all the way back in Windows 95 to replace the older FAT16 file system promoting new major improvements and breaking the limitations of FAT16. When compared to exFAT which was first introduced in 2006, FAT32 is too old, and because of its long age it’s the defacto standard. Flash drives you purchase will often come formatted with FAT32 for maximum compatibility across not just modern computers, but other devices like game consoles (including PS4) and anything with a USB port. When considering using an external hard drive for PS4, the most significant problem with FAT32 is the maximum file size it allows. Individual files on a FAT32 drive can’t be over 4GB in size — that’s the maximum! That means if you have a single game file which size is larger than 4GB, it cannot, by any means, be saved on a drive that’s formatted with FAT32, whether it’s an external or internal drive. That makes FAT32 unsuitable for use on external hard drives dedicated for PS4 because a modern standard PS4 game comes with much larger than 4GB file size. exFAT’s debut was in 2006, and older versions of Windows (particularly Windows Vista and Windows XP) where given the support for that file system via update patches. This certain file system is optimized primarily for flash drives. It’s designed to be a lightweight file system like FAT32 without all NTFS’s extra features and overhead, but without FAT32’s limitations. Like NTFS, exFAT has very large file size and partition size limits (Maximum 16EB. That’s too much to even just imagine!). This indicates you can store an AAA-grade PS4 game with 50GB apiece or even larger without any hassle if your external hard drive is formatted with exFAT. exFAT is a strict upgrade over FAT32, and should be the best choice for external drives where you want a lightweight file system without FAT32’s file size limits. That’s why we only recommend exFAT for PS4 external hard drives, nothing else. 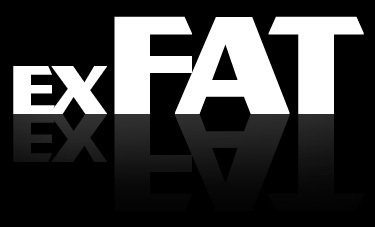 For more information on the difference between FAT32 and exFAT, please visit this page. The process of formatting the external hard drive for PS4 is very easy and can be done in a very few steps. You’ll only need a computer (desktop or laptop, doesn’t matter) then format it from there. We’ll explain this method using Microsoft Windows 8 operating system. Attach the external hard drive to your computer. Note: On other versions of Windows, Disk Management can be accessed through Control Panel, going to System > Administrative Tools > Computer Management. Disk Management will display the various disks that are available in that system. Locate the desired drive by looking at the drive information and drive size. When ready, right-click on top of the drive that is to be re-partitioned and reformatted, and click on New Simple Volume…. The Wizard will display a summary of the selected settings for review. It is important to know that formatting and partitioning the drive will erase all data that is on the drive. If there’s no needed information within the drive, then click on Partition. If there is data on the drive that is needed or is not backed up, it will need to be copied to another location before proceeding. If ready, click on Finish. The drive will indicate that it’s Formatting for a few seconds, and once done, it will display as a Healthy (Primary Partition), and the drive will be available in the Computer area of Windows under the assigned drive letter. That’s all. You’ll have now an external hard drive companion for your PS4 that can store the largest individual game file size you can ever imagine in mind.